After the Division files a Guardianship Complaint, there will be three types of hearings: the Order to Show Cause, Case Management Conferences and Trial. If DCP&P has filed a Guardianship Complaint against you, the stakes are very high because the State is seeking to terminate your parental rights. Contact the DCPP defense lawyers at the Tormey Law Firm for immediate assistance at (908)-356-6900. Our seasoned trial lawyers know how the system works and how to best protect your rights in these cases. If you or a loved one has an issue with child protective services in New Jersey, don’t wait. Contact the Tormey Law Firm today. One of our attorneys, Brent DiMarco, worked at two of the largest DCP&P defense firms in NJ before joining the Tormey Law Firm in 2018. Let him put his experience and expertise to work for you. We represent clients dealing with DCP&P throughout Middlesex County NJ including in Edison, Piscataway, Woodbridge, and Old Bridge. After the Division files a Guardianship Complaint, there will be three types of hearings: the Order to Show Cause, Case Management Conferences and Trial. 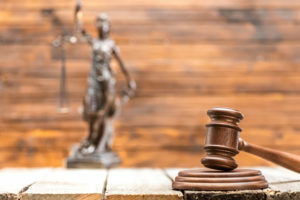 Each hearing is significant to the outcome of the case and if you cannot afford an attorney, the Court will appoint a Public Defender from the Office of Parental Representation. However, if you do not qualify for a public defender, it is imperative that you consider contacting a seasoned DCP&P defense lawyer to discuss your case. The Division must serve the parents with the Guardianship Complaint and provide notice of the first hearing: the Order to Show Cause Hearing. At the Order to Show Cause hearing, the Court will ensure that the parents have received a copy of the Guardianship Complaint, determine whether or not the parents qualify for a public defender, and review other details of the case, for example, what services the parents are attending, visitation, and what the parents’ intentions are regarding the Division’s requires to terminate parental rights and whether or not the matter will be contested. Guardianship cases are required to be reviewed by the Courts every thirty days at Case Management Conferences. During Case Management Conferences, the Court will review any issues regarding your case and with moving the matter towards trial including, but not limited to, the family’s services, visitation, scheduling expert evaluations and distributing documentary evidence. In addition, the Court may schedule a mediation in which the biological parents, the resource parents, DCP&P and the Law Guardian meet to discuss whether or not the case can be resolved without going to trial. Guardianship trial is the final stage in Guardianship Litigation. Trials are extensive proceedings in which DCP&P will present documents and witnesses to support termination of your parental rights. In addition, the Law Guardian may also present documents and call witnesses to support your child’s position – sometimes in agreement with DCP&P and sometimes in opposition to DCP&P. However, not only do parents have a rights to representation during Guardianship Trial, the parents are also permitted to challenge the Division’s documents and cross-examine the Division’s and Law Guardian’s witnesses. The parents can also call their own witnesses and present their own documents into evidence, within the applicable Court Rules and Rules of Evidence. If DCP&P has filed a Guardianship Complaint against you, the stakes are very high because the State is seeking to terminate your parental rights. No matter the stage of Guardianship Litigation your case may be in, you should consult with an experienced DCP&P defense attorney who is familiar with all facets of Guardianship Litigation to discuss your case and prepare your defense. Contact our offices anytime for a free initial consultation at (908)-356-6900.